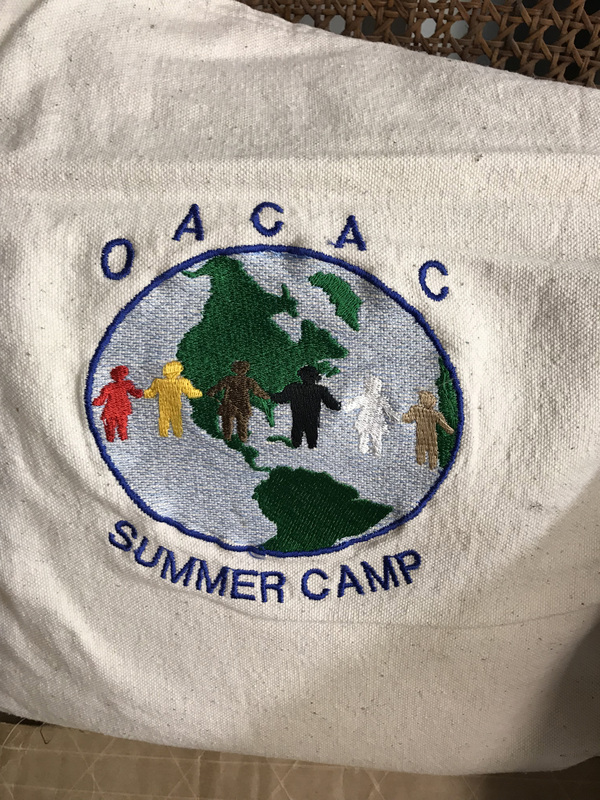 In celebration of our 25th year, here is a look back at some of the highlights and historical documents of OACAC and International ACAC. 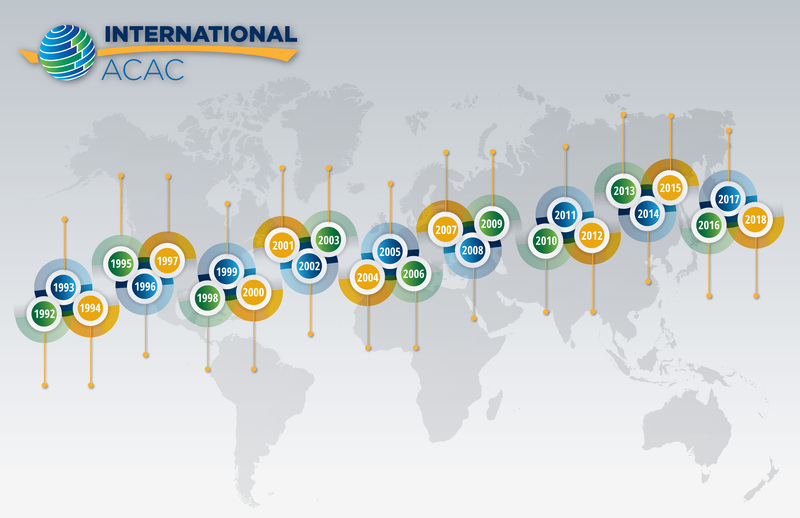 1992: The first text message was sent, it was the last year to contain both a Summer and Winter Olympics, a shipping container containing 28,000 rubber ducks was lost at sea, some of them still being found today, and at the NACAC conference in Los Angeles, OACAC signed the charter establishing the Overseas Association for College Admission Counseling. 1994: The ZIP drive was introduced, Tonya had Nancy's knee whacked, Forrest Gump had deep thoughts about chocolate, and OACAC produced its first newsletter. 1995: Newsweek Magazine decried the future of the internet, the glove didn't fit OJ, we got our first taste of Starbucks Frappucino, and OACAC held its "Mid-Summer Meeting" at Loyola of Chicago. 1996: Oprah started her book club, Cal Ripken broke Lou Gehrig's record, Tom Cruise showed Cuba Gooding, Jr. the money, and OACAC went to the City the Mouse built for our 3rd Annual Summer Conference at the University of Central Florida. 1997: Purell became available to consumers, the world mourned Princess Diana, that door was totally big enough for both Rose and Jack, and OACAC started sending more regular newsletters. 1998: Kuala Lumpur Airport opened, the misspelling of the word googol forever changed how we search for information, Americans met a wizard named Harry Potter, and OACAC alerted its members to concerns over computer-based testing for the TOEFL. 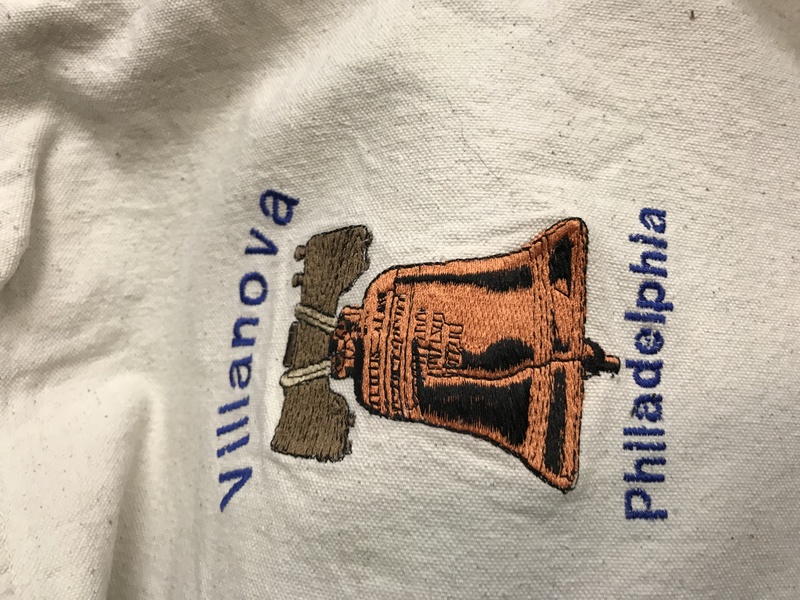 2000: Gas in the United States was $1.56 a gallon, Blockbuster Video declined to buy Netflix for $50 Million, the ancient city of Heracleion was discovered nearly 1200 years after disappearing under the ocean, and OACAC held its 7th Annual Conference at Villanova in Pennsylvania. 2014: CVS stopped selling tobacco products, the Bermuda Land Snail, thought to be extinct since the 70s, was discovered to have colonized an alleyway in Hamilton, the Ice Bucket Challenge raised $98 Million MORE than average in donations to ALS Association, and OACAC held its inaugural 5K. 2018: Qantas launched the first Australia-UK nonstop flight, North and South Korean athletes marched under the Korean Unification flag in the Winter Olympics, Prince Harry married an American princess, and International ACAC debuted an amazing member-made 25th Birthday Video at its Summer Conference.